But violations of gendered social norms are highly regulated by misgendering, transphobia, and enforcement of gender conformity. If you don’t look and sound “like a woman” then the mahine will refuse to play along and you will get hurt. You will get “sirred”. You will get nasty stares as you walk out of the bathroom. You will be harassed, threatened, or maybe even violently assaulted or killed. The gender machine will attempt to chew you up and spit you out. You will be called “freak” and seen as less than human. You will be called slurs. You will be slandered as a pervert. Your sanity will be called into question. The gender machine has it especially out for nonpassing trans women and non-binary trans femmes due to the way masculinity and femininity is strongly regulated for those who are assigned male at birth. Any hint of a assigned-male person dabbling in femininity is brutally regulated so much so that trans women repress their desires for decades, or even repress them forever. “Hi, what can I get started for you today?”, I speak over the intercom in a strained voice, desperately doing all I can to avoid the inevitable “Sir”. Often I don’t get it. But sometimes I do. I wonder if I would get misgendered more if we lived in a time when the gender machine regulated gendered communication and encouraged “sirs” and “ma’ams” at all times. Nowadays, thank God, people more lax on the honorifics. I personally try to never use them unless absolutely necessary. What’s the point? They do practically no good and often cause much harm to trans and GNC people. My voice is the Ur-factor in how I am perceived within the gender machine. It determines everything. Unfortunately, I know my voice is not perfect and still gets read as male to those unsuspecting strangers who might expect something else out of my mouth based on my appearance or dress. I wake up super early for work to placate the gender machine with makeup. I know many cis women across the world are pressured by social norms to wear makeup to work in order to be seen as “professioanal”, “hygienic”, or even “competent”, but I am pressured into waking up extra early to shower, shave, and put on makeup in order to maximize my available gender cues, minimize the negative ones, and ultimately reduce my chance of getting misgendered, avoiding dysphoria as much as possible. With my voice and my adam’s apple and my masculine features, makeup is a defense mechanism for me, a way to reinforce the gender cues I give off. But what I’d give to have the option to just wear a bare face but still be so effortlessly feminine that no one in their right mind would question my status in the gender machine. 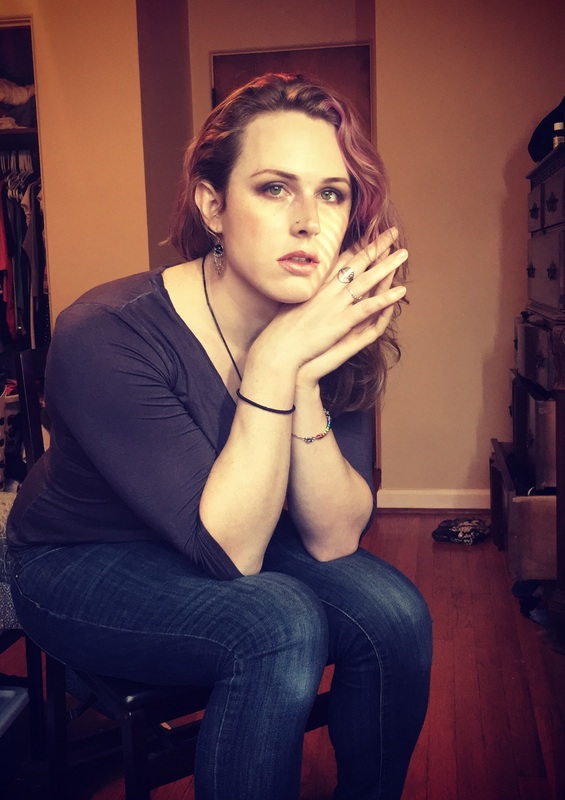 Life as a non-passing trans woman for me means constant vigilance. Professional pronoun detector should be written on my business card. Constant awareness of all things gender defines my worldview. When I am hanging out with cis males, I can’t help but notice their masculinity and define myself as apart from them, down to tiny little mannerisms like the small inflection they put on the end of a word, or how much space they are taking up. When I am around cis females, I can’t help but compare myself to them and get self-conscious about every little feminine detail that comes so naturally to them. Even hanging out with butch lesbians does little to make me feel better because even they are so dripping with womanhood that I can’t help but feel “less”. Such is life as a non-passing, late transitioning trans woman. The gender machine is fueled by pronouns, and regulated by conformity. It is all around us. Even in today’s post-modern liberal society of increasing LGBTQIA diversity awareness, the gender machine is working harder than ever to regulate gender. It might seem like we are now living in a laissez faire world when it comes to gender, but don’t let surface trends fool you: The growing acceptance of trans and GNC people in society has done absolutely nothing to placate the gender machine. It is still hungry – it still needs to feed. It simply finds a new tactic, a new way of regulatation, new rules, regulations, associations, connotations, expectations, etc.